Today is the day the US recognizes and celebrates the birthday of Martin Luther King Jr. Many people got to have the day off work - I didn't. I did have a really great morning. I got up ON TIME and noticed the beautiful sunrise. This encouraged me to grab my camera and run outside to snap some shots of it. I may share those later in the week as I can't upload the pictures from work. Then, I started the coffee and actually did some yoga from my Morning Cup of Yoga book before hopping in the shower. I felt great! Following my cleansing, I packed a lunch and ate some yogurt before heading off to work. At the office, I've been working on getting up from my chair about every half hour to be active, get the blood circulating, and get my eyes off the computer screen. I've tried to keep this habit in the past as well, but I get distracted easily and soon forget. Here I go again. Work's going alright. I've got two different sets of website copy that needs to be done and I've been waiting for a response from the clients. I heard from one last week and another today. It's a bit of a boost to have some contact with them, rather than floundering around in the dark over what they expect. The plan for tonight is to head over to Mobile and help my mom with the nieces. I'm looking forward to it. What happens when ninjas protest a pirate festival? See for yourself. 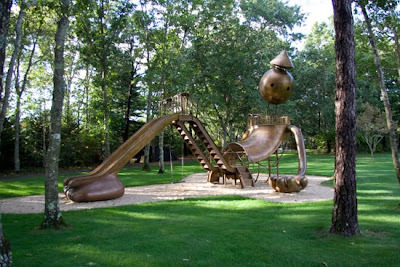 This tin man- inspired playground is pretty cool. I saw this video a week or two ago and have already had it e-mailed to me a couple times. 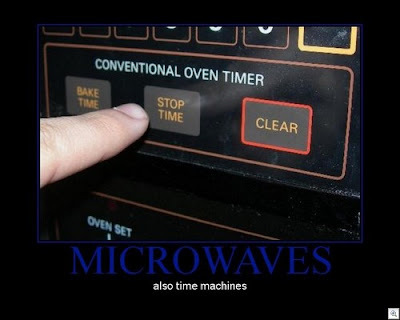 You may have seen it already, but I gotta share. I sooooo want both of these. That's all for today. I hope some of that made your day today. If it didn't - let me know what does and I'll try to include it. OH - Happy Martin Luther King, Jr. Day! !